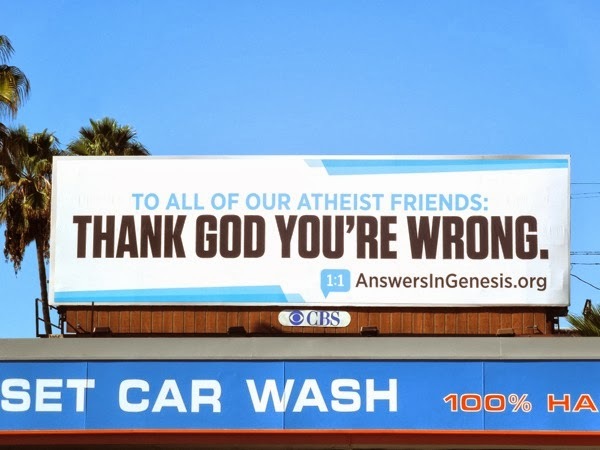 When Daily Billboard first saw this billboard at a glance, you had to wonder if it was for a new comedy show, as it has that parody feel about it. 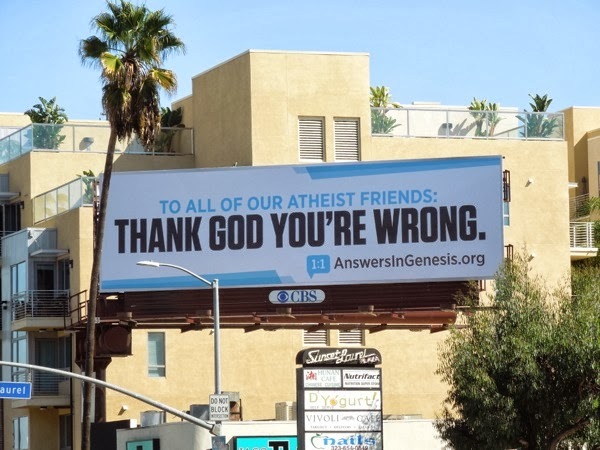 Turns out this this billboard creative is actually for Answers in Genesis, a Christian religious group. 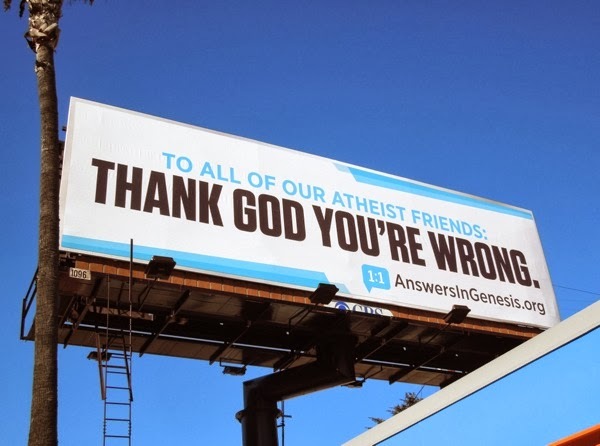 The funny thing is, Daily Billboard find this religious-themed billboard to be just a tad passive-aggressive with its smug message to non-believers - "To all of our atheist friends: Thank God you're wrong.". 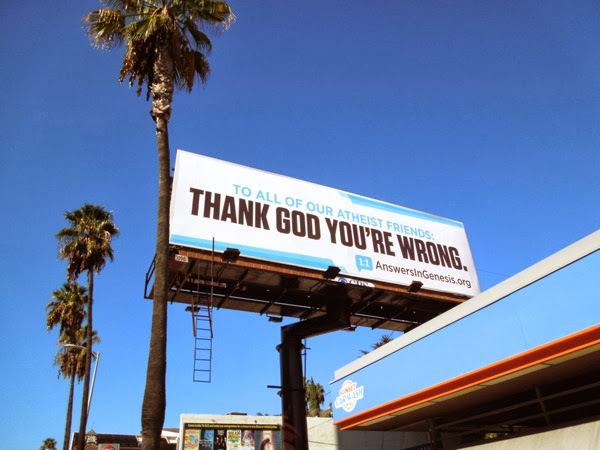 There's no denying this provocative ad certainly gets your attention, but it's not a particularly inviting or embracing message, especially if this group is trying to tempt others to explore their faith. This sounds like more of a superior 'told you so', rather than an opportunity to find out more. 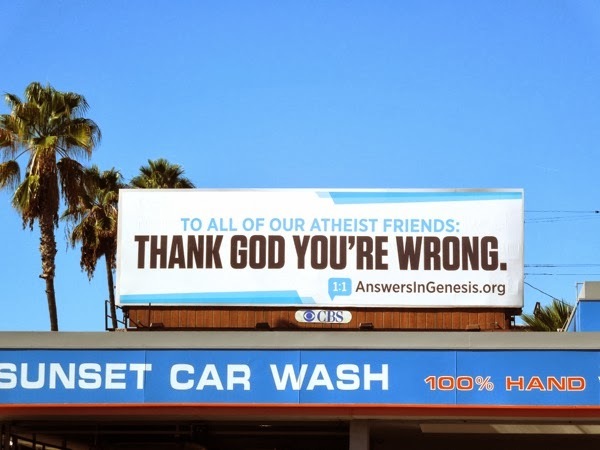 The arresting copy-only ad was first spied along Sunset Boulevard eastbound on October 16, 2013, whilst another ad was snapped westbound along the same busy road on October 30, 2013. Regardless of who's right, wrong, or indifferent, 'Thank God it's Friday'.